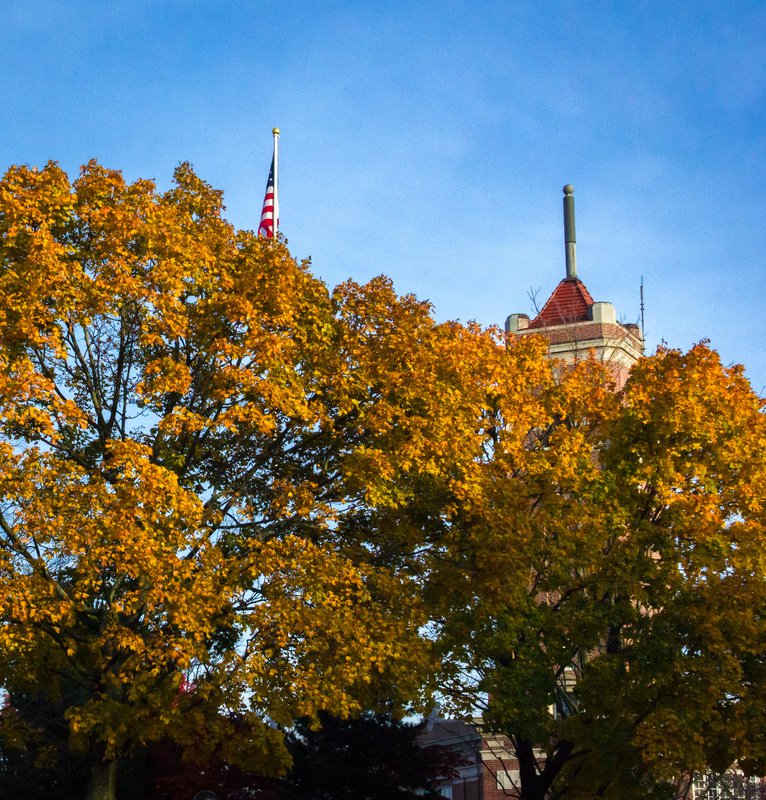 The sun illuminates the trees in front of the Central Fire Station. 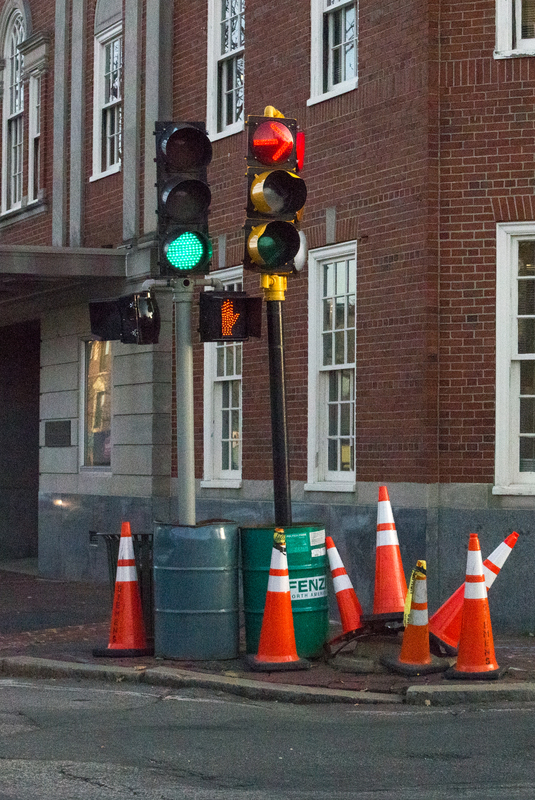 Replacement lights direct traffic after the arm holding the above-street traffic signals at what is perhaps Arlington’s busiest intersection fell over in late October. 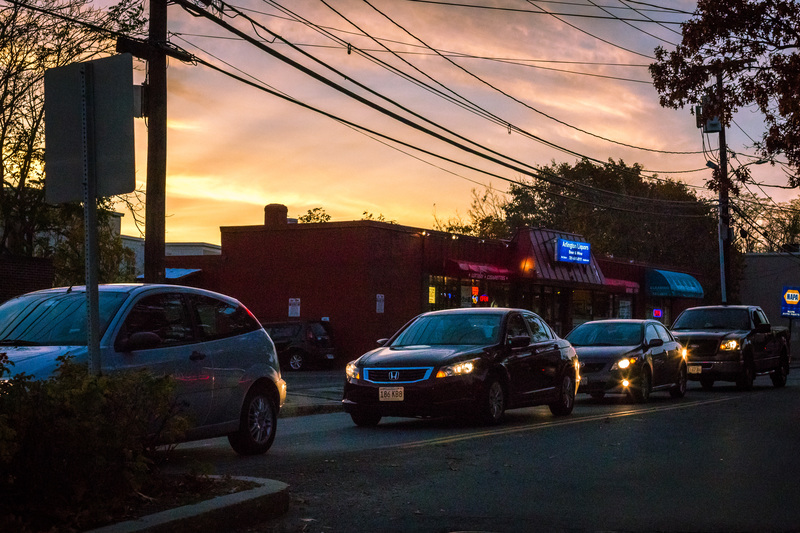 Vehicles pile up at the Summer Street and Mill Street traffic light under a brilliant twilight sky. 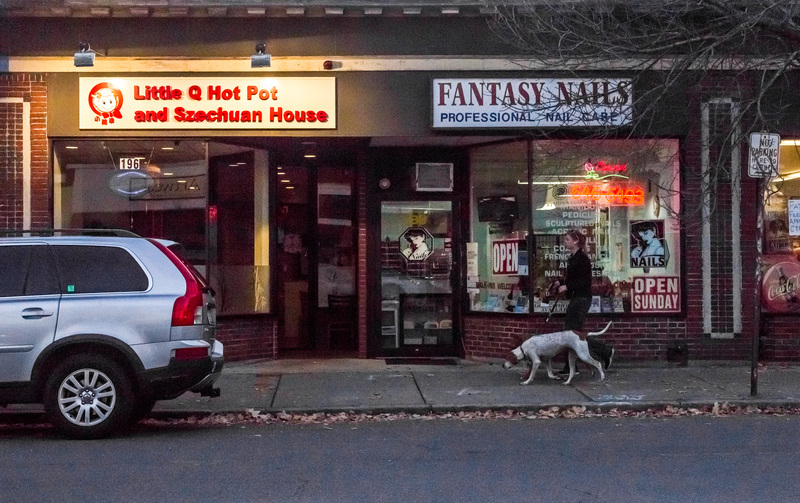 A woman walks her dog past businesses in Capitol Square. Orange barrels surround a supply of curbstones awaiting placement as part of the Mass Ave project in East Arlington. 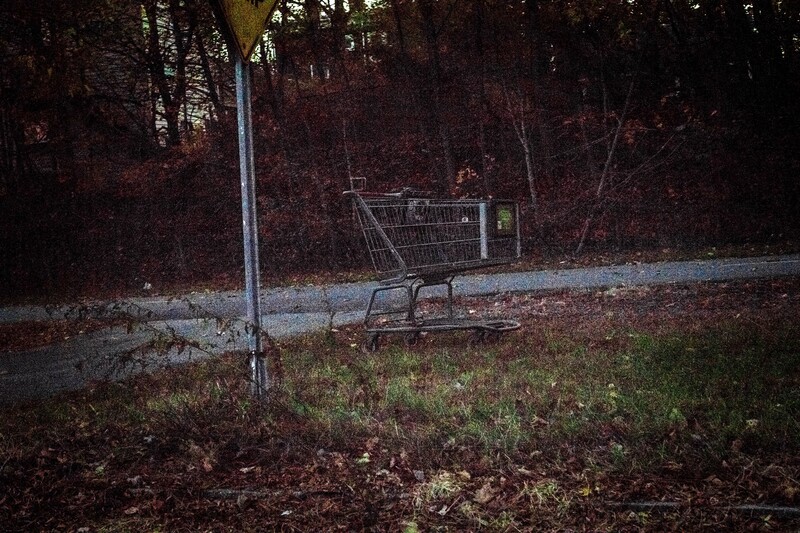 An abandoned shopping cart next to the Minuteman Bikeway. 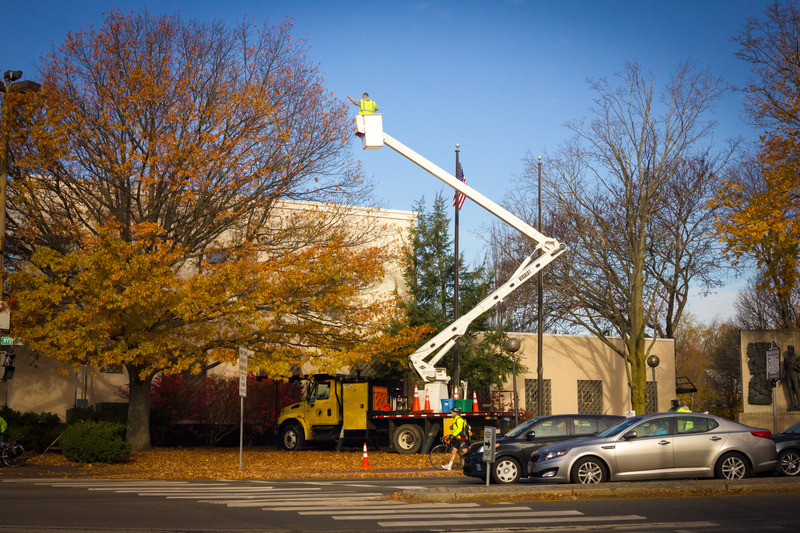 A man atop a bucket crane strings lights through the trees in Uncle Sam Plaza to add a festive touch to Arlington Center through the late fall and winter months.